If you have a tank heating system that is leaking, you need immediate attention. If you have this type of leakage, we will probably be recommending a new tank installed. But don’t worry because we will advise you on the best way forward. If we can repair it, we will definitely do so. You have probably heard of the electric water heater, which is a good option or alternative to the 40 or 50 gallon type. This type of heating unit is good because it might be economical. It only heats water when needed, which can be good for your energy consumption. 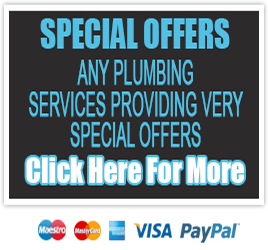 Your gas water heater may be in need of repairs such as plugging leaks. We can give you this service if you need it. We can also change it with other more energy friendly units such as solar, electricity or tankless. Hot water heaters come in all types, shapes and forms. 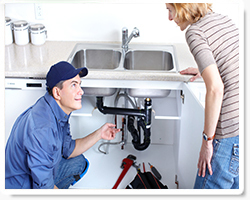 If the one you have is developing such problems as leaks, not enough hot water, rumbling noises, etc, we can fix it. We have a good track record of restoring these units whenever they need fixing, which is good for people who want to keep them for a long time. 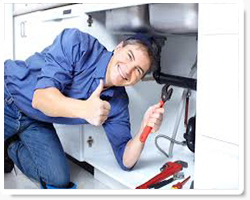 We can install an electric tankless water heater any time that you need this service. Our skills for these units are unparalleled since we have been doing it for a very long time. As masters for this kind of work, we can guarantee that the work we do, that is labor and parts, will be guaranteed for a long time. Call us if you need a heat pump water heater and we will install it.